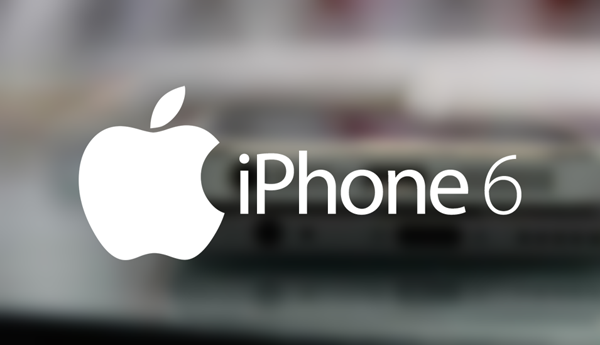 Apple’s iPhone 6 is well on the way. Set to be announced at the Flint Center on Apple’s Cupertino campus in just 12 days’ time, we now know quite a bit about the forthcoming handset. For example, we’re aware that it will pack a vastly improved (albeit still dual-core) A8 processor and Near-Field Communication (or NFC) – something that Apple has stood back and allowed Android / Windows Phone vendors to indulge in unchallenged. 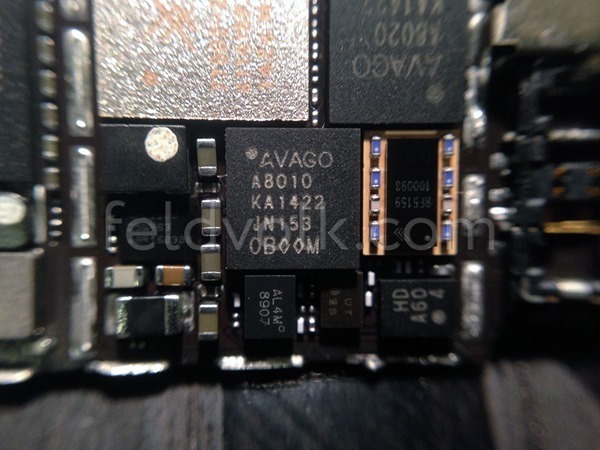 A new leak today offers some high-quality snaps purported to depict the iPhone 6’s logic board, and therein, we get a glimpse of the new A8 SoC as well as the NFC component. This leak has emerged via the folks at Feld & Volk, who’ve actually been fairly busy in their reporting of the iPhone 6. Shared by Sonny Dickson, a fairly reliable whistle-blower, the shots you see before you are apparently of the 4.7-inch iPhone 6’s interior components. Of course, with the announcement now official and Apple having begun preparations for the venue in a fortnight’s time, the leaks aren’t likely to be at a premium from here on in, and so while these internals do appear legit, there’s also a substantial chance that they have indeed been faked. 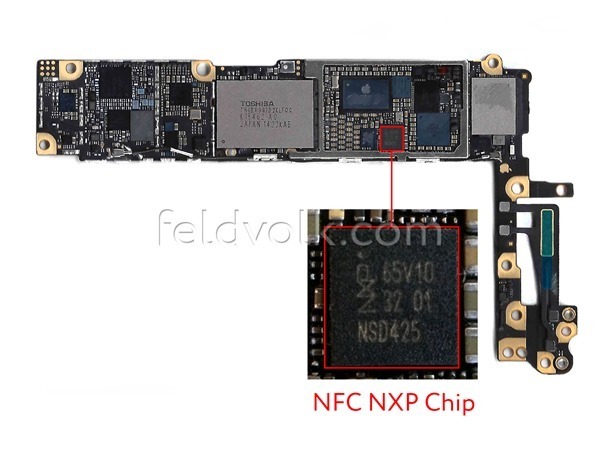 Still, putting any doubts to one side, the leak once again suggests that the NFC module, labeled ‘NSD425’, will be supplied by NXP. The company is behind most of the NFC modules found within a number of high-end Android smartphones, and with Apple now finally hopping aboard the NFC bandwagon, we could see a spike in mobile-processed payments moving forward. 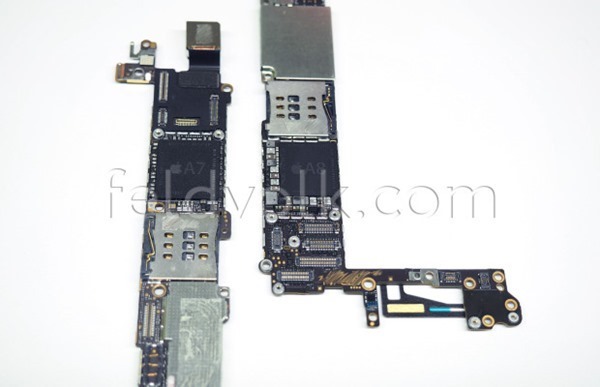 The leak also offers a side-by-side look at the iPhone 6’s logic board against that of the iPhone 5s. As you’ll notice, there are a fair amount of similarities, but given that the outer profile of these intricate components don’t tend to reveal much with regards to performance, we have a fairly rough idea of what Apple’s A8 will be capable of. Previous tidbits claim that the dual-core A8 will churn out 2.0GHz per core, with the 64-bit architecture remaining constant after debuting with the iPhone 5s, and although processing power isn’t the end-all, be-all when it comes to general performance, it’s certainly an impressive-sounding bump over A7. We’ll be keeping you in the loop before, during and after the events of September 9th, so stay tuned!